Cute. 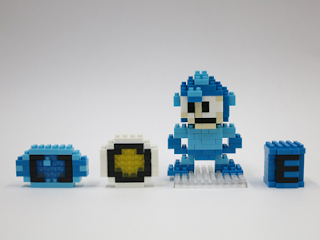 But these look easy enough to recreate using regular Nanoblocks... or with Lego otherwise. 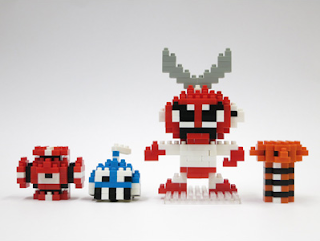 If only Tomytec was still making their Dot-Pin toys; I'd give anything for a good official Rockman set.